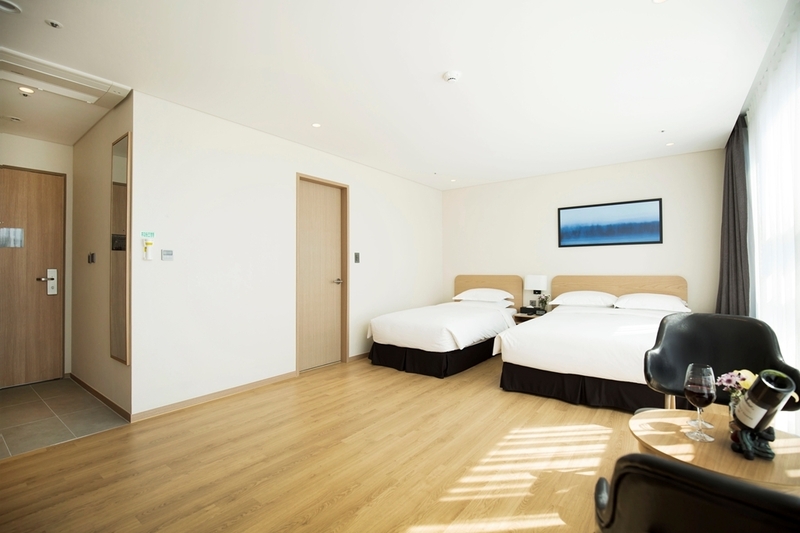 The Best Western Haeundae Hotel is ideally located in the center of Busan. Come and experience our hotel near the major tourist attractions. Best price guaranteed and exclusive deals. More than a million people come to Haeundae Beach in a year. Busan is one of the rising holiday destination in the Asian Pacific Region. 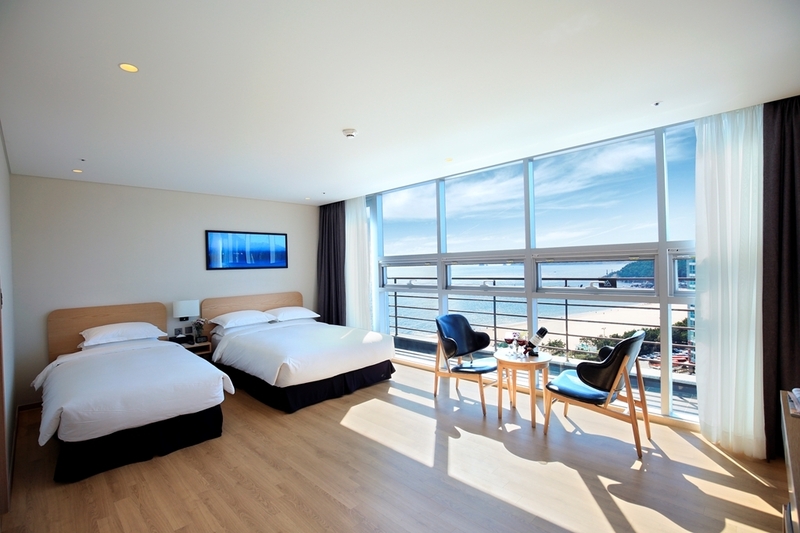 The newly launched Best Western Haeundae Hotel is located in the heart of Haeundae Beach where guests can enjoy shopping. leisure time, as well as night life. 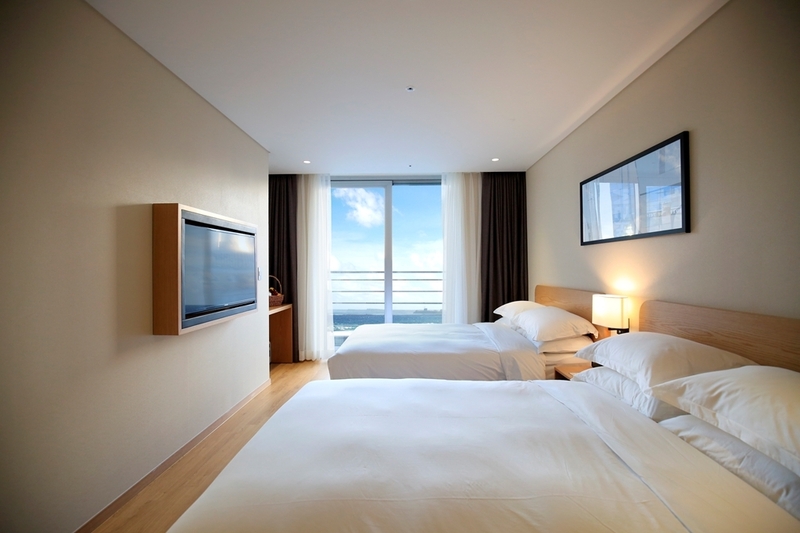 Guests will experience convenience and superb accommodations with reasonable room rates. Whether you are planning a get away from urban life or on vacation our 134 new renovated non-smoking rooms will be the delight of your trip. 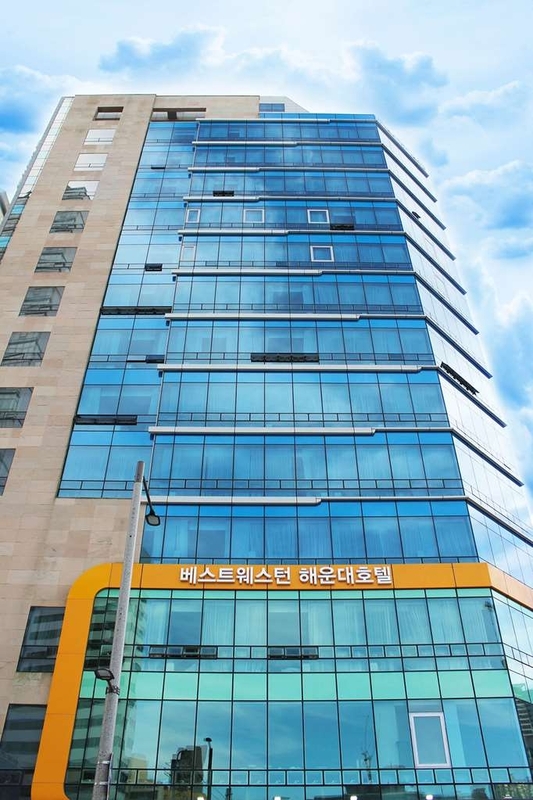 We are only 20 minutes from the KTX Busan Station, 40 minutes from Gimhae International Airport and the Haeundae Intercity Bus Terminal is located within 10 minutes. "Comfortable stay close to the beach"
We stayed here for 7 nights with our 13 month old baby. The room was clean, comfortable and large enough to accommodate travel cot (provided free of charge) and all our belongings, including stroller, with plenty of room. "Not what I expected, but a comfortable stay nevertheless"
Having always used Best Western in the Middle East on my regular business travels, I was expecting the same setup. Whilst this property is not as big and up market, the Room was clean and comfortable two of my top requirements, along with a friendly and efficient staff. A couple of niggles in the room saw the Maintenance chap come promptly and efficiently dealt with the internet/ TV issue. Central location does provide the benefits of having ease of access to the many restaurants in the area and the beach just across the road. Hello. This is Best Western Haeundae Hotel. First of all, thank you for visiting our Best Western Haeundae Hotel. We always try our best to provide great service and comfort for our clients. We really appreciate about your precious opinions, and we will also try to live up to your expectations. If you have any inquries about our hotel. Please feel free to contact with us (051-664-1234) We sincerely hope you have a wonderful day. Thank you. The location is right in the centre of the city and has easy access to all the great restaurants. Highly recommend. 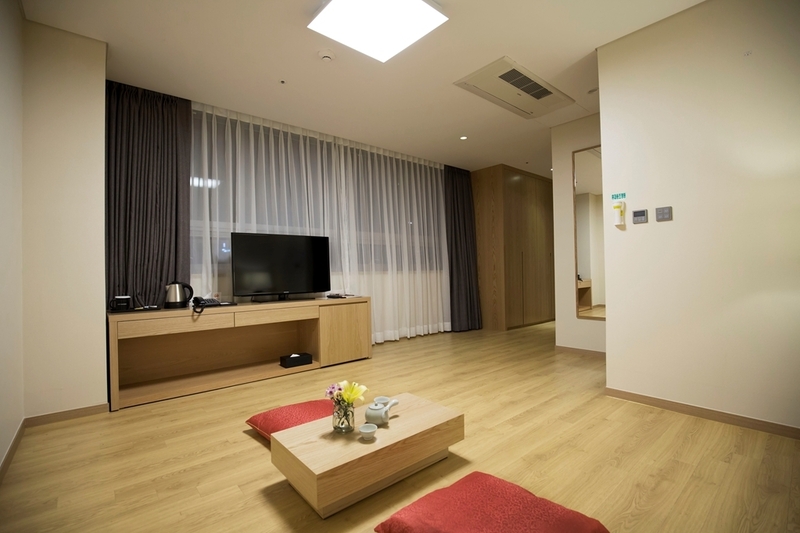 The room is also very clean and modern. 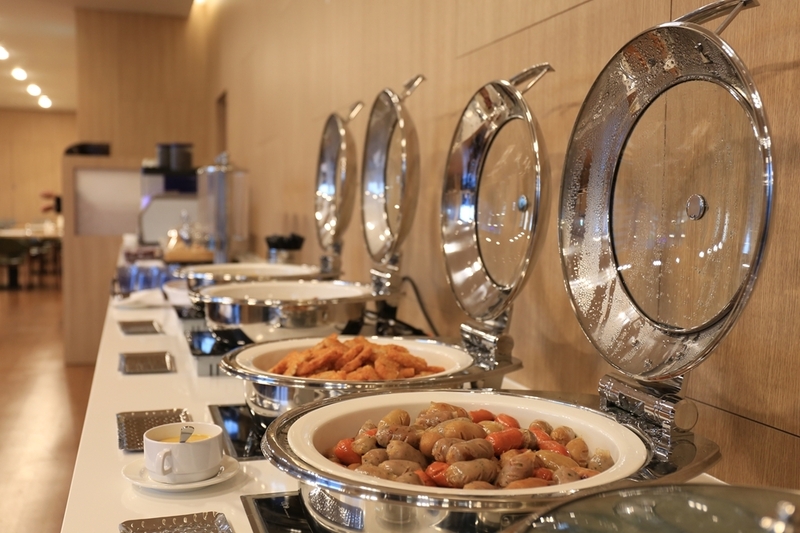 The breakfast is contains good mixture of Korean and western food. I will definitely come back next time. The best thing about this hotel is the location. It is very well located amongst good restaurants and coffee shops in a central area close to the beach. The hotel is well maintained, very clean and provides all the necessary room amenities. Well, the price was totally different than what I saw on line. They told me one room for 2 people was $99.00 because it was Friday. It's with 2 single bed, room is very small, no views at all. Well, I thought it's got to be a double bed for me and my mom. Price was doubly more for double bed but nice but small view of beach. One bad thing was the glass window /door was so dirty that I really couldn't see the view of the beach anyway. Overall it was clean and convenient going out to beach, restaurants, and sightseeing. The small door from the street that leads to an even less impressive foyer doesn't adequately represent the hotel that is hiding in the floors above. Reception on the second floor and the adjacent dining room are again modest but spotlessly clean. In fact everything about this hotel is clean and new. The rooms are small but adequate and have all the comforts you would expect of a 4.5 star hotel. The beds are nice and the shower excellent. The view is interesting with even a small peak of the sea if you stand in the corner of the room. What I loved about this place is the proximity to the beach, the great breakfast and the exceptional value for money. The only negatives are: no pool, no gym and no communal space. At 10am you're asked to leave the dining room which means the only place to relax with friends is in your room (too small for larger groups). However if you're here for the beach it's a small price to pay for such great value. You can`t beat their price and location. If this is in newport beach california price will be double or triple for sure. I got a suite with ocean view because price was amazing. Room was big and clean. Ocean view is partial ocean view to me but beach is right in front of you so it`s ok. Coming from Busan KTX by subway was challenging even I`m used to metro. There was elavator to where you buy subway ticket but not to platform so I had to lift heavy bag and that was not fun.Buying a single subway ticket in Korea is pain because you have to pay deposit and get refund when you get out so it`s better to have an easy card. Also if you make a mistake at Busan metro and get on wrong line you have to exit and pay again. If you are using KTX from seoul from Busan station take line 1 to Seomyeon and transer to line 2 to Haeundae. When you get off at Seomyeon station find line 2 make sure not to exit. When you are at Haeundaedae station just look up and you will see Seacloud hotel on your left. Walk towards that hotel Best western will be on your right and it should only take 5min. Their sign is very small but right next to Subway sandwich. Get a room without breakfast I notice room with breakfast is way more expensive but you can get it for $14-15 if you decide. I tried it once it was ok not worth $14 for sure. 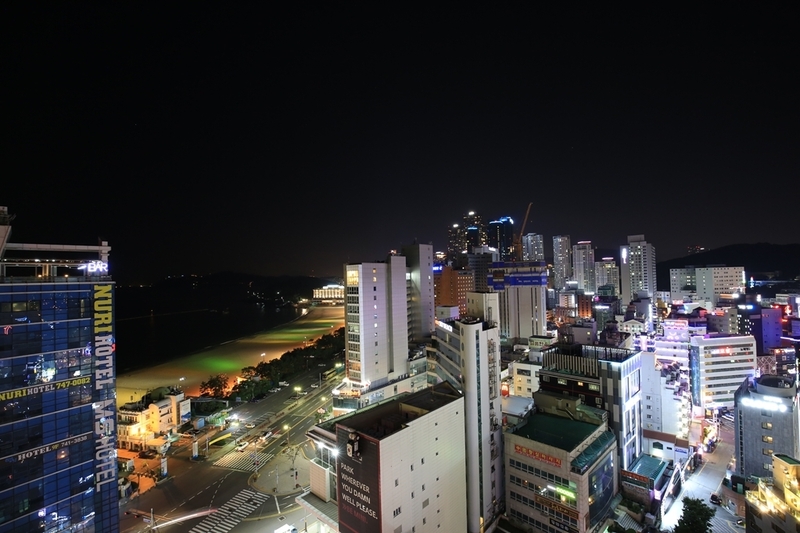 If you are staying in Haeundae you can`t beat this location. There is a double decker tourist bus and I recommend to take that early in the morning if it`s your first time. It will take you all over Busan and view is amazing. You can walk to next station Dongbaek area too even though it`s not a short walk I highly recommend to do that at night because you get to see beautiful bridge and view. You don`t get anything fancy other than nice clean room in prime location but their price is great. Go to Ops bakery if you didn`t get a room with breakfast. Little food alley is right in front of this hotel. Try their corndog with sugar and ketchup sound interesing? It was delicious. Take subway back to Airport it was cheap and easy. It`s not like Seoul their rush hour is not bad. Take line2 to Sasang station and get on regular train and 3rd stop is airport. 55min. Unlike coming from KTX train ride back to airport was easier because station is made for people with bags. I was worried about location how far it will be to metro. No problem at all easy nice 5min. If you don`t need luxury but simple clean accomodation this is it. First time to Busan on a family vacation and found this great hotel. Although the price was a bit higher than others, we enjoyed it for its location and service. Totally worth it! The beach is nearby and very convenient for dining, shopping and clubbing. We tried the traditional Korean food off the street stores. It was fun! We found a coin-laundry place across the street from the hotel. We will definitely go back for a longer stay next time! "Very good hotel in great location"
Stayed here and was more than pleased. I stayed in a twin room which was a reasonable size, comfortable, clean and very reasonably priced, absolutely no criticism. The staff on reception gave me a lot of help with anything I wanted to know, especially Joon, thank you for all your help. The hotel is less than 10 mins walk from the station on the right hand side at the other end of the street which leads to the beach and a few minutes from the beach. That street has a lot of restaurants, shops etc. and across the road there is an alley full of restaurants and street stalls selling mainly fish. Seaworld Aquarium is a few minutes walk away by the beach which is also a stop for the Busan Hop-On Hop-Off bus. I was also told by the staff that the Airport Limousine Bus stop is a few minutes walk away around the corner in front of the Seacourt Hotel and I used this to go back to the airport, it was easier. If you want to use it from the Airport it stops at the Novotel across the road from the Seacourt, obviously also only a few minutes from the hotel. "Hotel in great localisation with beautiful view"
Hotel is close to metro station, about 5 minutes by walk. Hotel looks very new and modern. Rooms are spacious, clean and really nice. View from our room was really beautiful during the day and in the night. Big plus for balcony in our room. Went to stay as it was very centralized property and it really was. Took the hop on hop off bus which dropped us at a walking distance to the place. Easy to check in and check out it was clean place with small rooms. The front desk staff was very helpful and guided us well. Only thing lacking was room service and Size of the room. Location is the highlight and you get out to a very lively and happening place - eateries shopping areas dancing fountain on one side and beach on the other. Would love to come to this place again. 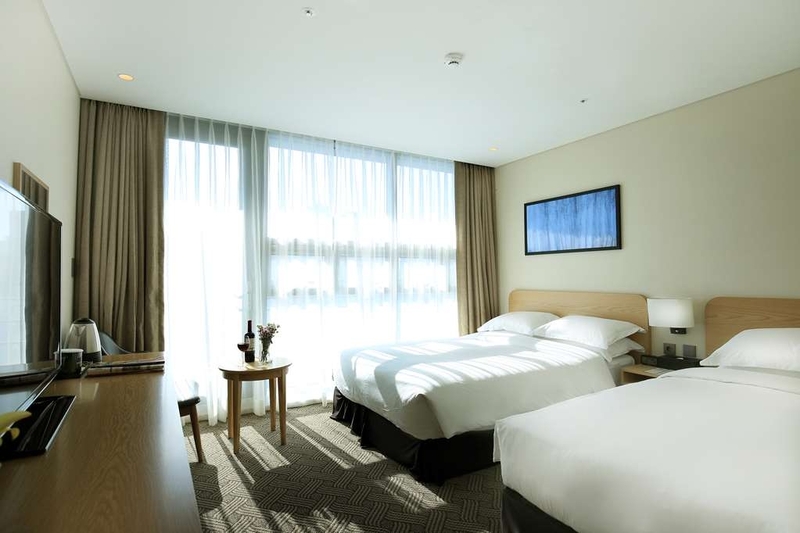 "Excellent value with sea-view of beautiful Haeundae Beach"
We're a big fan of the Best Western hotel chain, and couldn't be happier with this one. Not quite a beach front hotel, our room had a balcony overlooking the beautiful beach. 1min walk to the beach, it's just opposite of the Night Market alley, and nearby Halal restaurants and convenient shops. 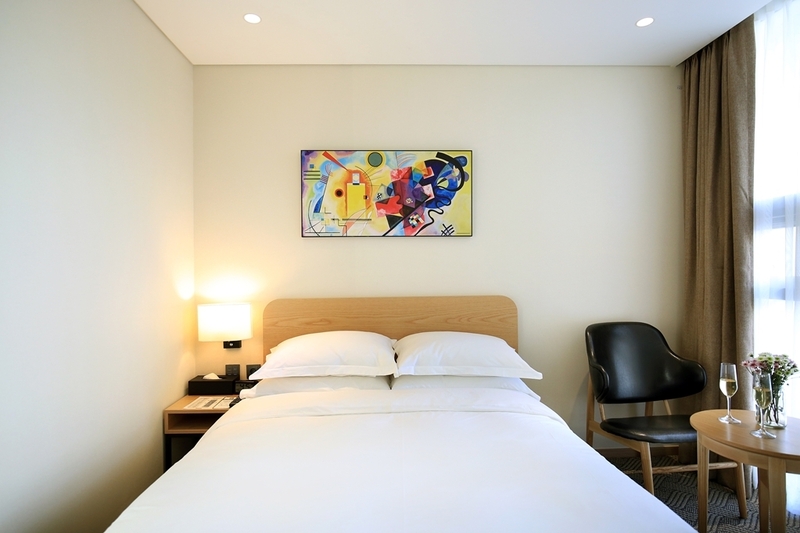 Highly recommended for anyone looking for a modern hotel with great value in Haeundae Beach. Great location next to beach and near metro, although a long way from airport. Good standard room and hotel facilities. Didn't have breakfast but plenty of places to eat nearby. Our weekend trip coincided with Haeundae festival of sand which was a bonus. "Perfect hotel in Haeundae district!" Excellent hotel with a very professional staff. I arrived early and needed my room. I had a very good offer from the receptionist who offered to pay a small extra charge to get my room early. I really appreciated, they did their best in order to give me a wonderful stay. I received a warm welcome from the staff. The room service is perfect and efficient. I strongly recommend this hotel which is well located near to beach all the good bar and restaurants in the Haeundae district. Very near to the beach especially when you stay during summer. Unfortunately we came on the wrong season which was cold with strong wind alert, rain and snow. 5 mins walk to Haeundae subway which brings to Centrum City, Nampo and Jagalchi shopping areas and Gimhae Intl Airport. Booked a standard room with ocean view which we are only able to see from the L-shape balcony. Room was quite spacious which comes in single and queen size bed. 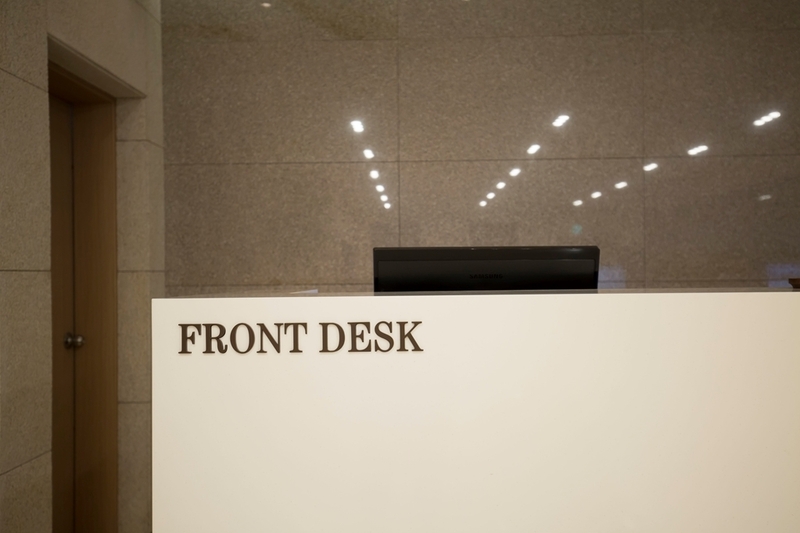 Front desk staff can converse with limited English and need a bit more smile when welcoming a guest. There are a lot of restaurants and for Muslim travellers, there are about 3 halal restaurants that serve Indian,Lebanese cuisine mostly located on the 2nd floor. There is a convenience store and Olive Young conveniently located next door. "Not bad for a chain hotel! " I stayed with a friend at the family twin for two nights. The hotel was located a block from the beach and five blocks from the train station. Plenty of restaurants and shops nearby. The breakfast was good and the room was spacious and clean. The walk from the train station to the hotel could be harsh after a long day though. i'll jump straight to the pros and cons of the hotel. PROS: great location. just beside the haeundae beach which has a fantastic view. great for photo-taking. just 1 minute walk to the sea eel market with TONS of food and restaurants. mostly seafood. right between a 7-11 and pharmacy. TONS of café and restaurants nearby. also 5mins walking distance to the subway. clean and nice rooms. CONS: we took the room with tatami instead of the normal room. comes with floor warmer (it was winter) which was really comfortable. but it reached a point where we perspired in the middle of the night. and tatami didn't seem like a good choice cause it was quite thin. can't find any big dustbins around. we bought food back from the market to enjoy our dinner in our room. however, after all the eating, I went downstairs to dispose the rubbish, but there wasn't any nearby. the dustbin in the room was just a small waste paper basket. reception staff always not at the counter. couple of times we wanted to gather information from reception but it always seems that the staff weren't around. with all that being said, it was still a very nice stay. Great location, within a block of the beach. Lots of restaurants nearby. Breakfast available in the hotel had the basic options and was filling. We got a room with a balcony that had a view. We probably didn't need it as we didn't spend much time in the hotel but it gave us a great place to stand and get an overview of the area before going out and exploring. Good location, near to the beach with lot of luxury eateries, street foods and cafes within walking distance. The Casino is nearby and HardRock Cafe within the parameter. Noise can be the biggest challenge as a wide walking path is right in front of the hotel. 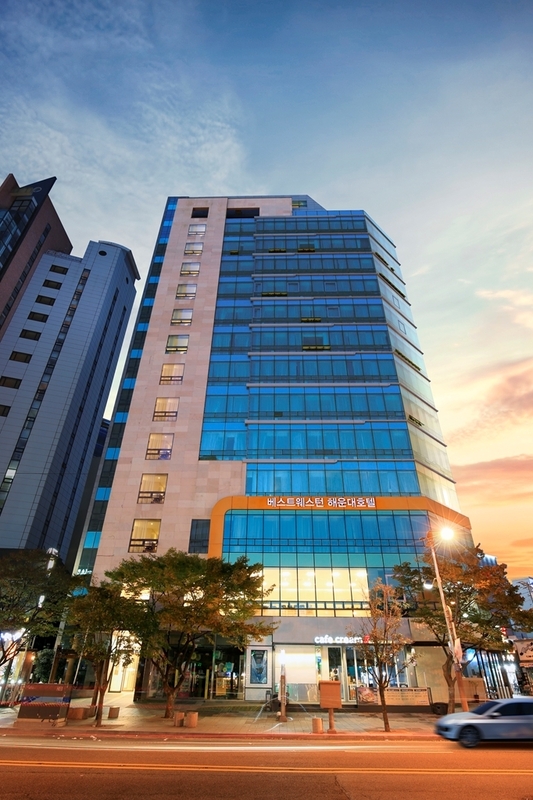 The Best Western Haeundae Hotel is located close to Haeundae Beach and is about a 7 minute walk from the Haeundae subway stop on Busan's Line 2. There are many restaurants and coffee shops located closeby and it is across the street from the Traditional market that has many local food vendors. In short, this location is excellent. 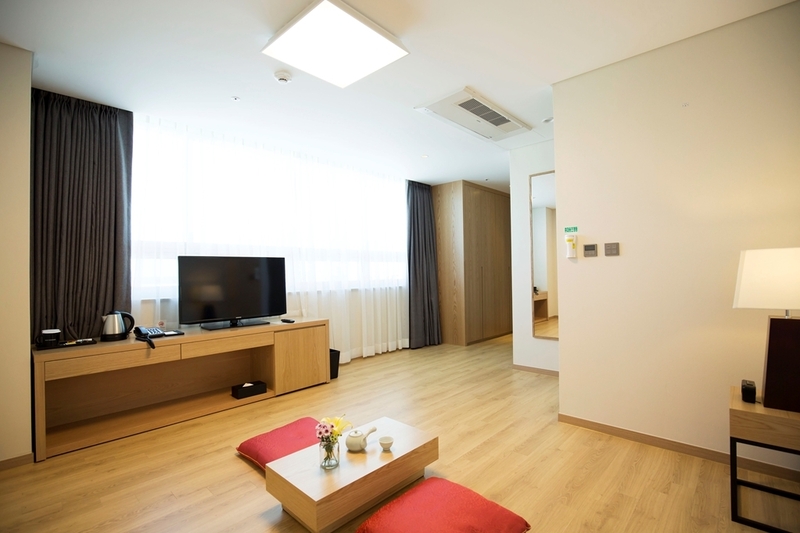 The hotel itself is very comfortable with spotlessly clean rooms and a secure elevator accessed with your room key card. The lobby is located on the 2nd floor, needing no card to access the elevator prior to check in. The rooms have a small refrigerator with complimentary water. The bed is comfortable and the drapes are black out style that allow no light making it great for morning sleeping. The bathroom has a nice tiled shower with glass enclosure doors. The vanity has a large counter space. Amenities such as shower caps, toothbrushes, combs, shampoo, conditioner and lotions are replenished daily. My only complaint about the bathroom, and it is a big one, is the lack of lighting over the vanity. The entire bathroom is lit with only a few small ceiling can lights. This is inadequate and odd for a modern bathroom. It was clearly designed by someone who has never put on makeup. However, that is the only complaint for this wonderful hotel. I stayed there several nights during the end of December and beginning of January. The check in and check out process is quick and easy. The staff, including housekeeping, is efficient and friendly. I highly recommend this hotel. It is convenient and extremely reasonably priced. "Clean room , near beach"
The room is clean and enough space for 2pax with luggage. They provide amenties such as body wash , shampoo , toothpaste , toothbrush etc... The breakfast varieties is ok! The hotel is near to beach.. we went over to see seagull when we stayed there... There are restaurant , streetfood, café ,convenience shop such as 7-eleven, GS25 just nearby .. Our room facing the market street so it abit noisy during late night ..
"The hotel name like it's service ." Room is big and clean, the view of room is amazing. Everything you want to eat and buy , you all can find here. Next time I will still choose this hotel again. I recommend this hotel ,if you like to watch the sea view , when you wake up. I enjoyed my stay here. The staff was friendly and the breakfast (which cost extra) was tasty. The room was a little noisy, but not awful. I had a corner room that had a very close next door view of a noraebang and a bar, as well as several bars nearby, so given the area so close to everything, including the beach, a little noise is to be expected. There was a very loud fashion show in the middle of the street right outside my window one of the nights I was there, but it's hard to complain about that because it was very neat and it ended relatively early. The room was very clean, but the windows (floor to ceiling covering an entire wall) were pretty filthy. "Good location at reasonable price"
I stayed here for several days on my first ever visit to Busan. 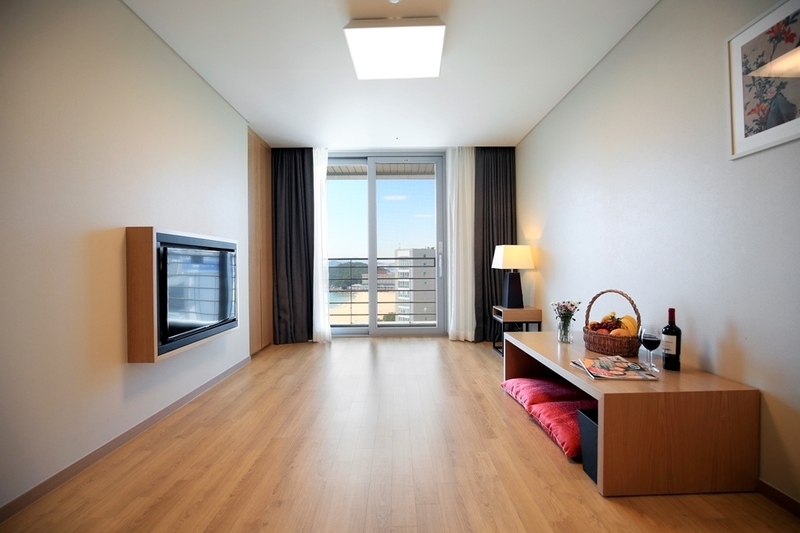 The location is quite good, just a block from the Haundae beach, and a 5 minute walk to the nearest metro station. The room I was given had a corner "wraparound" view with floor to ceiling windows, and was really impressive. The staff were friendly and helpful, although their English was somewhat limited. Just outside the hotel are many convenience shops, restaurants, night clubs, etc, some of which are open late or 24 hours. For the price, this was quite a good bargain, and somewhat better than average for a Best Western. I would definitely stay here again if I return to Busan. It has nice view to see the beach and very near to the beach. It is a good place to stay. I would like to reserve for my next trip to Busan. And around 10 min to subway station. It is really convenient with the food and transportation. This hotel is in a good spot, a few blocks from the beach in Busan, close to a lot of restaurants and cafes. It also has really nice feng shui due to its corner location, and you can feel this throughout the hotel. I slept well here and felt very relaxed in my room. I chose one of the futon rooms. The futon was very comfortable and the room minimalist and spacious, I loved it at first. Unfortunately it wasn't clean. I dropped an earring on the floor and looked under the tv stand/dresser to find where it had rolled off to. Underneath I found significant deposits of dust and debris that had apparently been swept there instead of gathered up and thrown away by housekeeping (see photo). This was disappointing, and breakfast was a bummer too. I went down a little late (9:15 and I believe breakfast stopped at 10) and the buffet had been demolished by guests who came before me. Food wasn't replenished even though there was still a fair amount of time til the meal was supposed to close out. I'm sorry to say that also the food didn't look that great anyway, which actually I kind of expected from a BW however, this Best Western is a little more expensive than others in the chain. I thought they'd have a better set-up. Not sure if I'd stay here again. Seemed to me like they were cutting corners & it's not enough of a bargain to counterbalance the negatives. There are a lot of hotels in Busan, more than enough, if I were to go back I'd stay at one of the mom and pop type places or just splurge on one of the more upscale hotels. "Location is great, rest not so much. Good price/comfort ratio"
The location can't be beat (well it can but the probably not the price point). Great value. Comfortable, quiet. Water complimentary. Wifi fast. Only gripe was really dark bathroom. Didn't try the breakfast. Take the airport limousine to get there, it drops you right across the street (1 block away) you can't see it from street. Make sure to tell the driver where you are going and he will tell you when to get off. It takes about an hour. this hotel very near to the haeundae beach, many food store near the hotel and also cafe, near convenience store. It's 4 stars hotel with modern style, the room not really big but, very comfort, they have amenities too. Their breakfast although not many kind, but their food was good. Near the hotel , i bought korea strawberry which was sweet taste and really big. Love it. But, when i check in with my group in this hotel, the rod in front of the hotel still on renovations, so, i had to walk a little far to get in the hotel. "Great place to stay that's near the beach but..."
Stayed 2 nights at this hotel with a friend in Mid-May 2017. The room was clean and sufficient, bed and blanket were comfortable. They served Korean and Western style buffet breakfast and the food was good! The train station was a 5-10 mins walk from the hotel and the road was under recontrusction so it was a little inconvenient. The only shortcoming was that my room was facing the main street and could hear the loud music played by the bars across the street. So if you are a light sleeper, I suggest you bring along some earplugs. Overall, I would recommend this hotel for people travelling with friends! "Ideal location, very modern and clean"
We had a good deal on Booking.com and booked a suite at a good rate, with sea view. The suite was very luminous and spacious, with all amenities you can think of. Everything was very clean. We had a small terrace (unfortunately without any outdoor furniture) so we could enjoy the view. It's ideally located : near Haeundae Beach, near the Tourist Information centre, near Haeundae metro station and near a small market with dozens of seafood restaurants and a couple of shops. There's a 7/11 nearby as well as plenty of other restaurants. They provided a baby crib free of charge. Laudry service was quite expensive -- do your laundry elsewhere if you can. I had a twin room since the double rooms were sold out. I had a view of Gunam-ro, and a partial view of Haeundae Beach all for a great price. I was able to push the two twin beds together and have the King size equivalent for added comfort. The bathroom is small but modern and well equipped. TV had some movie channels in English. The price was right and the location was excellent. Many restaurants nearby. If facing Gunam-ro and you want to sleep, ask for a room away from the road, the street plus construction can get noisy; no fault of the hotel. The airport bus picks up/drops off in front of the Seacloud hotel just a block away. You can get to other parts of Busan by bus or train nearby, Haeundae Station is opposite direction of the ocean, a mere three blocks or 3 minute walk. I prepaid, so check-in and check out were a breeze. Great value and recommended. Dear. WestCoast_Peach Hello. This is Best Western Haeundae Hotel. First of all, thank you for visiting our Best Western Haeundae Hotel. We always try our best to provide great service and comfort for our clients. We really appreciate about your precious opinions, and we will also try to live up to your expectations. If you have any inquries about our hotel. Please feel free to contact with us (051-664-1234) We sincerely hope you have a wonderful day. Thank you. "Average Hotel with Good Location"
We stayed at this hotel for three nights in October. There were plenty of eateries around the hotel and the Haeundae market is right across the road. 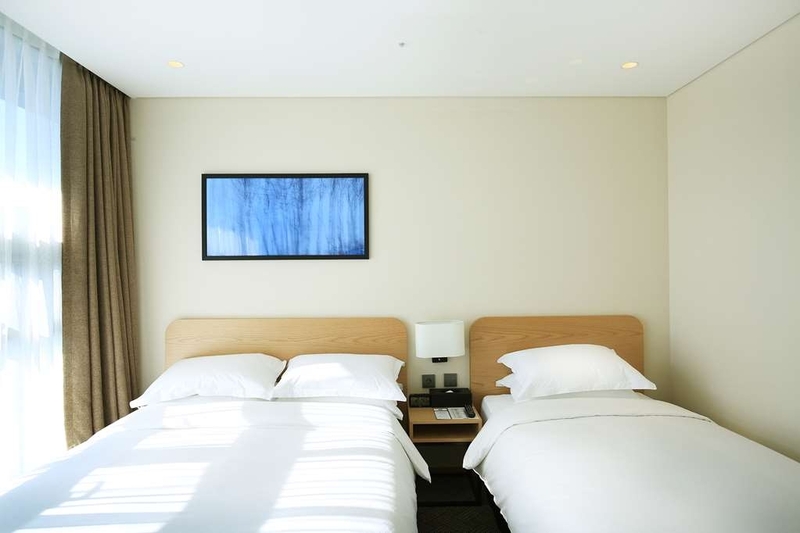 The room is clean, staff are polite and friendly. However, there was a constant strong smell in the bathroom resembling the smell of RP7. We were told that that was "new" smell from recent renovation. Also, we could hear loud music from bars/restaurants nearby despite the fact that we were staying at the second level from the top (forgot which floor). First of all, thank you for your valuable comments for Best Western Haundae. At first, we understand that you have been through during your staying at our hotel. There may be noisy from the outside of our hotel depend on rooms. So we are going to caulk around windows to prevent the noisy. Also we are trying to remove the smell of new house. We are very sorry about inconvenience during your staying and we will try our best to satisfy our guests. Again we are very sorry about that. Location is the best value of this place. Located right infront of haeundae market, and it only 3 minutes walk away to the beach and 8 minutes walk to the subway station. The surrounding is a very alive with restaurants and shops. Most of them are selling food. The room is a bit small .. you need to carefully manage the space if you have big luggages with you. They provide breakfast, it was small but decent. 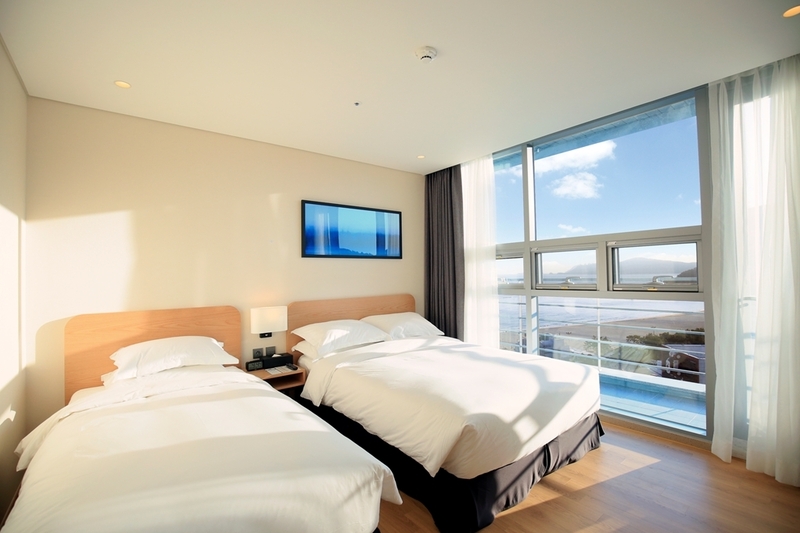 Overall, this hotel is recomended for low budget traveler, a short time stay in busan. First of all, thank you for your valuable review. We are so happy to hear that you satisfied with our hotel. But you also had inconvenience so we try to accept your valuable opinion to change the circumstance that customer could stay happier than now. And we do try our best, so that we promise to provide better service to our guests. I hope we will see you again soon. The hotel is really clean & nice. We had a room for 3 and it's quite spacious even with 3 luggage. It's located about 5-8 minutes walk from subway and nearby there is a street with a lot of local seafood restaurants. it's near to the beach, within 10-15minutes walk there is this Seafood Village Market for dinner/supper. Convenience stores are just few steps away. But i do not know if the hotel has pool since there is no directory about it and i did not see any restaurant. I requested for fork/spoon but the staff said they do not has it. It would be good if there is a clearer directory in English and located in a visible spot. The staff are friendly & try their very best to answer whatever questions i had. Wifi is strong, and the view is just nice. I was there during the typhoon but it would be good if any of the staff can inform us about it as warning, thank god we didn't go to the beach. Overall i would say the price is quite reasonable & i enjoy the surrounding of the hotel area. "Good hotel with perfect location"
Stayed in this hotel in September 2016 for 4 nights in Twin Room with Balcony and Sea View. The hotel is new and well located - about 5 minutes from subway station and 2 minutes to the beach and SeaLife Aquarium. On the opposite side of the hotel entrance, there is a fish market, where you can try local seafood, buy some street food, fruits and vegetables, there are also a few mid-size convenience stores inside the fish market to buy some drinks and food. The front desk staff was nice and helpful. There were one king size bed and one queen size bed in this room type. The room was bright and bigger than it looked at the pictures. The bed mattress was extremely comfortable. The view from the balcony was great - we had both the city view and the sea view. There was no power socket close to the tea station and we had to use the power socket in the bathroom. The room walls are very thin, so we could hear the neighbors and their kids. The floor sink was not designed well, so after taking a shower we had still water on the floor for a long time. "Clean, nice & quiet ocean view room." This Best Western is in a great location. It's close to many restaurants/bars, the subway and the beach. Nothing else about this hotel is particularly amazing but it's a good, clean hotel for a decent price. First of all, thank you for your valuable review. We are so happy to hear that you satisfied with our hotel. And we do try our best, so that we can try to provide better service to our guests. I hope we will see you again soon. 1. No benefit for diamond members at all. No priority check-in, no room upgrade, nothing. 2. We arrived to store the luggage in the morning. The front said we could get the room in the early afternoon. We came back at 3:30pm (the official check-in time is 3pm) but waited for 1 hour. The time we got into the room was close to 5pm. 3. Called the front to give us western pillows instead of Korean ones. No response after the call. We had to go down to the front to ask them in person. 4. The wifi for our room no. was out of order. OK to connect but download/upload unavailable. The front told us to use/share other room's wifi which became slow and disconnected frequently. No one solved this problem during our 2 nights staying. 5. The sockets on the wall (in the Korean style room) are too high. Difficult to charge mobiles etc. "Best Location in Haeundae (???????? - ???)" We stayed the hotel from 28 to 30 July. We just need 3 minutes to go to the beach. We stayed the room for four persons with sea view and balcony. The room is clean with spacious area. I have one suggestion for the hotel is to put a shower curtain in the bathroom. It is because when we have bathing, it is easy to make the floor wet. Dear KL P, Thank you for your valuabel comment for BestWestern Haundae Hotel. First of all, we are very happy that you had great time at our hotel. However, I will let our GM know that we will install the shower curtain at our bathroom. We will try our best to satisfy our guests, so I hope that we will see you again when you visit Busan next time. Thank you. "Bugs, bugs, and more bugs!" The hotel is in a nice location, although a bit difficult to find, but very close to the beach. Once we got to our room, though, we noticed many flies and mosquitos. The room was clean, overall, but the presence of these bugs was very annoying. I think it would be helpful for the room to be double-checked by a staff member before a guest checks in, just to make sure there are no invading insects. We switched to a different room, which was smaller but had a more beautiful view of the city. No bugs here...at least, that's what we thought at first. The next morning, after we checked out and left, we discovered that one of our hotel beds was infested with bed bugs - the one bed that I shared with my 5 year-old daughter. We were both covered with bites all over, and many of my daughter's bites became infected, requiring us to find a skin doctor for treatment. A truly miserable experience that I did not expect from a Best Western. 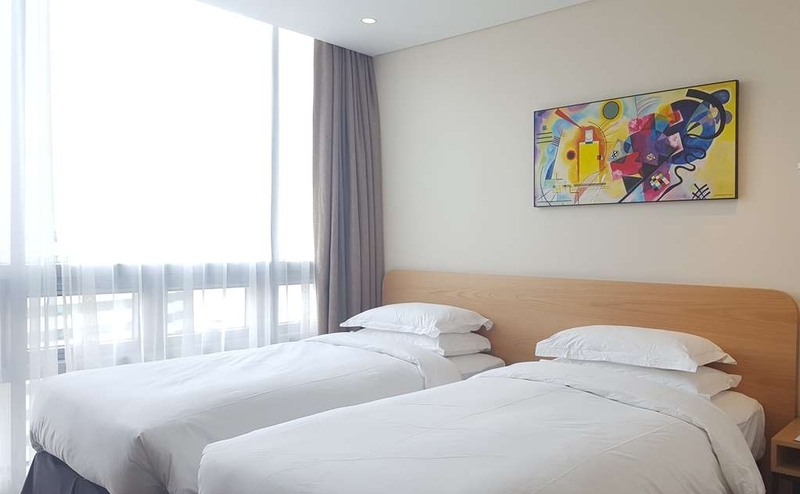 "Nice location but poor room maintanence"
This hotel sits 5minutes from the haeundae station, making it a great place to stay if you're planning on going to the ocean often. As for myself, I didn't head out to the beach that much. The big downside to this hotel, for me was the service. When I checked in an hour after my check-in time, I was assigned to a room, which on arrival I realized the door was wide open. I had never seen a hotel where the door was wide open even before the guest's arrival, so I was a bit thrown off. Next, to my horror, I saw something buzzing around the room, which turned out to be a big fly and mosquito. I hate insects, and why a room would have an insect inside it, just when I arrived, I could not understand, and could not tolerate. So I called the front desk to change rooms, and they did, but they told me to come down to the front desk and change keys. This was also frustrating since I was already disappointed from the insects, and I thought that at least they would have the decency to come up to me and lead me into another room with an apology. However the apology never happened, even when I came down to the front desk. In short, this hotel is seemingly a standard business hotel, but I've seen and been to business hotels at the same price range that were so much better. I don't plan on ever staying here again. Dear Yeri, First of all, we are very sorry about yout inconvinence during your staying at our hotel. As a manager of this hotel, I promise to educate our front desk clerk to get better service to our guest. Moreover, we will be careful about our cleaness. Again, we are very sorry about your disappoint about our hotel, but please visit next time again. We promise to provide better service. "Great location, great quality, great price; highly recommended"
Quality and amenities you would expect out of a four-star hotel, with a decent view, in a location that is just a stone's throw away from the famous Haeundae Beach, but yet accessible from the subway station, with the Haeundae Market just across the street and plenty of eateries all around catering to all kinds of tastes, all for a price just 10,000 to 20,000 won above an average guesthouse. 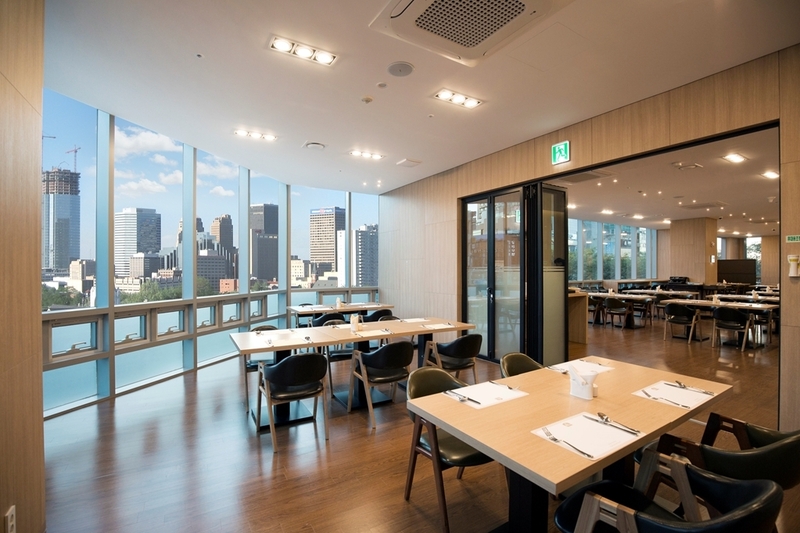 This was a steal in our opinion, and we would recommend tourists visiting Haeundae or Gwangalli to give this hotel serious consideration. Dear, chnhjn Thank you for staying with BestWestern Haundae Hotel. We are so happy that you satisfied with our hotel. We are trying to provide better service to our guests, so we will try our best. I hope we will see you again soon. "Nice clean hotel in a good location"
We stayed here in 1 room with our 2 teenage boys. The hotel and room were nice and clean, breakfast was a good mix of Korean and western with good service. Location was excellent for beach and nightlife. Room was quiet and curtains really blocked the light, so we slept well. One thing to be careful of - we booked our room on a 3rd party website and it wasn't clear on the website that the room we booked didn't have beds. The check in clerk took pity on us westerners and upgraded us to a room with beds. Very nice of them and much appreciated. The hotel was somewhat difficult to find. It wasn't in the GPS of our rental car and our taxi driver didn't know where it was either. The garage entrance was not well marked and was on a side street, not the same street as the hotel address. Overall, it was a good value and we would stay here again if coming back to Busan. Dear Bruce B, First of all, thank you for your valuable review. We are very happy that you satisfied with our hotel. BestWestern Haundae Hotel opened last October, so plenty of our guests have problem to find our location. Therefore, we are trying to register our location on GPS company as much as we can. If you have any plan to visit next time, I hope it would be much easier than last visit. Again, thank you for staying with us, and we are expecting to see you again soon. 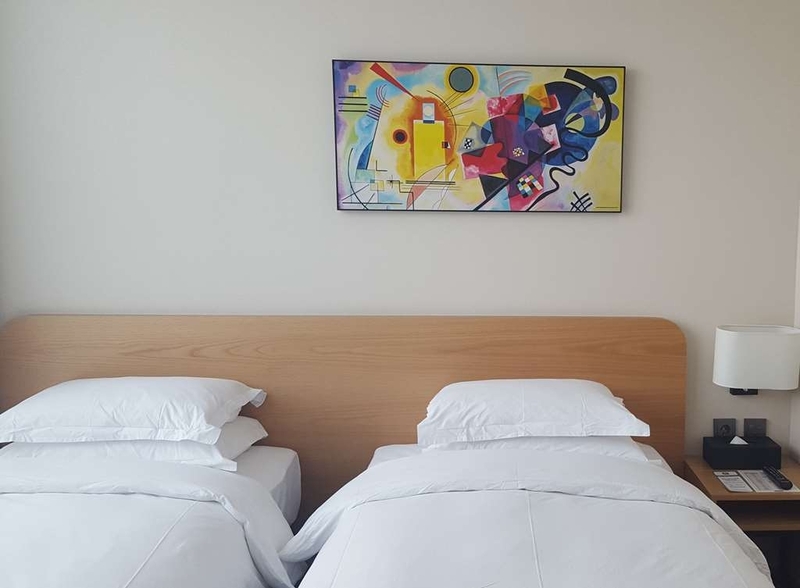 "Great Location, New and Clean"
The hotel is just 1min away from the beach, 3min away from the subway station and right in front of the Haeundae Market where you can find delicious local food. Surrounding the hotel there are plenty of food to choose. You will be spoilt for choices. Dear vy878522, Thank you for staying with BestWestern Haundae Hotel. 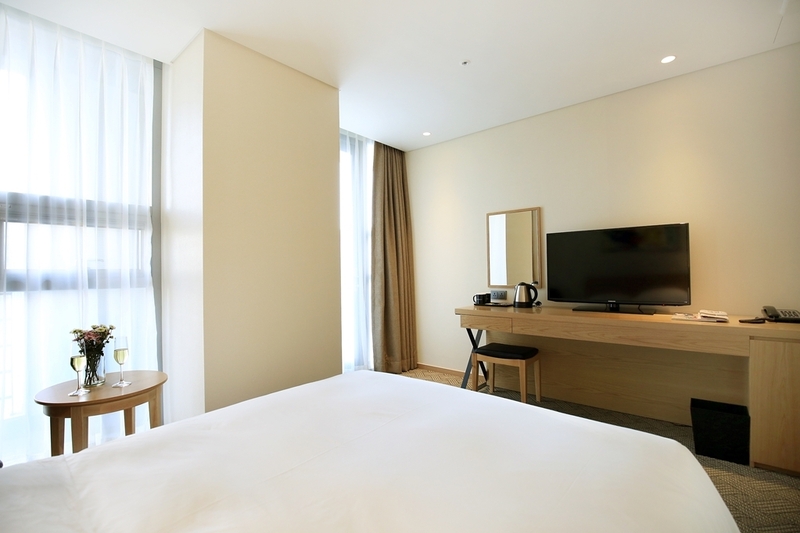 Best Western Haeundae Hotel is an ideal place for businessm holiday and leisure travelers with our unique room space, beautiful Heaundae Ocean View and City view of Haeundau traditional market. We always do our best to satisfy our customers with heartfelt services. Again, thank you for your helpful comment. We stayed here for 2 nights. Both nights we all had good sleeps, even though the location is in the middle of bars and beach night life. Our room was on the 10th floor looking to the beach. Their mattresses and sheets and pillows all felt great!! Clean and very thoughtful designed room. Love their light blocking curtains and double sinks in the modern concrete bathroom! Impressive! Dear Y S, Thank you for staying with BestWestern Haeundae Hotel. We are very happy that you had great time with our hotel. BestWestern Haundae Hotel just opened last October and we are always trying our best to satisfy our valuable guests. Again, thank you for your helpful review and we are expecting to see you again soon. The rooms are in a good size, with a bit view of the beach. The bed is a bit small for a couple, still okey for a couple of days. 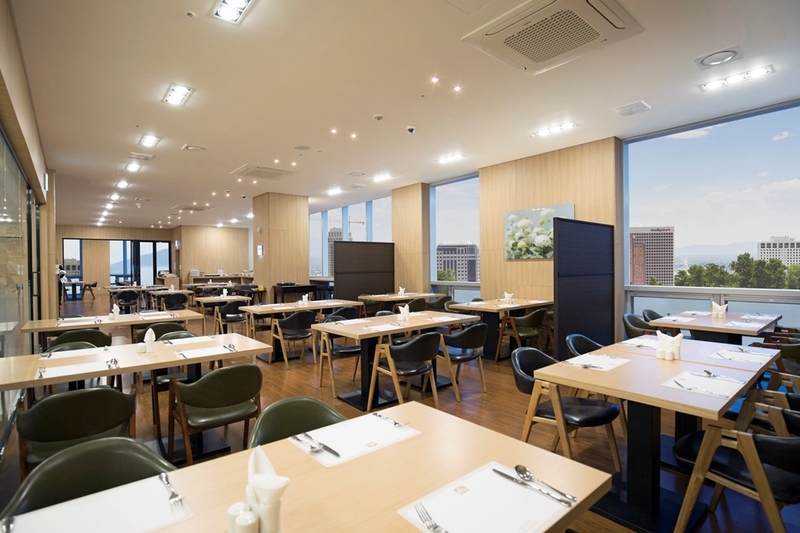 The staff is very nice and helpful :) The location is prime as its just a 3-5 minutes walking distance to Haeundae station and 3 min to the beach. 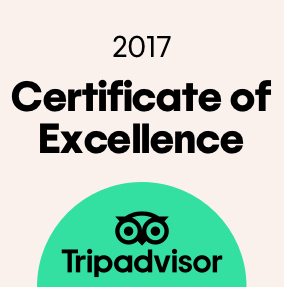 Highly recommend if you want to relax and enjoy the nature and the beach as well as being close to the tourist attractions and the top rated tripadvisor restaurants. Dear Ninuso, Thank you for your comment. We are very sorry about your inconvinience with our bed. However, we will try our best to satisfy our guests , so please visit again. "Great bargain close to beach"
The price is a great bargain for a place close to the beach. It is literally on the beach. The metro station is within a few blocks of it and Haeundae market is in front of the beach. I booked a room with a balcony facing the beach. The view was partially cut off from other sights. But, still good. Many restaurants and clubs within blocks and it made it worth it. The airport limousine stop is a block away in front of the Novotel hotel. Convenience all around. Rooms are clean and adequately furnished. One downside is that one has to pay attention to the location as there are too many signs obscuring it. A good way to locate the hotel is that it is right across from the Haeundae Market sign. Dear Sundncr Thank you so much for your comment. We are really happy that you are satisfied our hotel : ) We made huge sign on top of our hotel, so if you visit next time, you could find our hotel easier than before. Again, we are very thank you for your comment. Very nice hotel in great localisation. Close to bus stop and metro station. Very close to Haeundae beach. Big plus there was balcony in the room. View in the night was stunning. Cool experience to have breakfast on the balcony. "Affordable luxury with fantastic views"
Our corner room on a high floor overlooked the bustling Haeundae Market, which was directly across the road from the hotel entrance, while also having a view of the sea. Most times with hotels you get either only a city view or a sea view, but this was the best of both in my opinion. Beautiful luxury finishes at affordable rates made this hotel a great choice. The location is a very short walk from the subway station and a stones throw away from the beach. "Great Hotel & Great Service"
I stayed at the Best Western Hotel, for a total of 2 nights and really enjoyed my stay. The hotel was easy to find, in a great location and offered an amazing view from the balcony of Haeundae and the beach. The hotel room was clean and fresh. The beds were very comfortable and everything in the room seemed brand new. I would highly recommend this hotel to anyone wishing to stay in Haeundae. The hotel is literally a 4 minute walk to the beach and is surrounded by restaurants and bars all around. Dear Sony1003 Thank you so much for your comment. 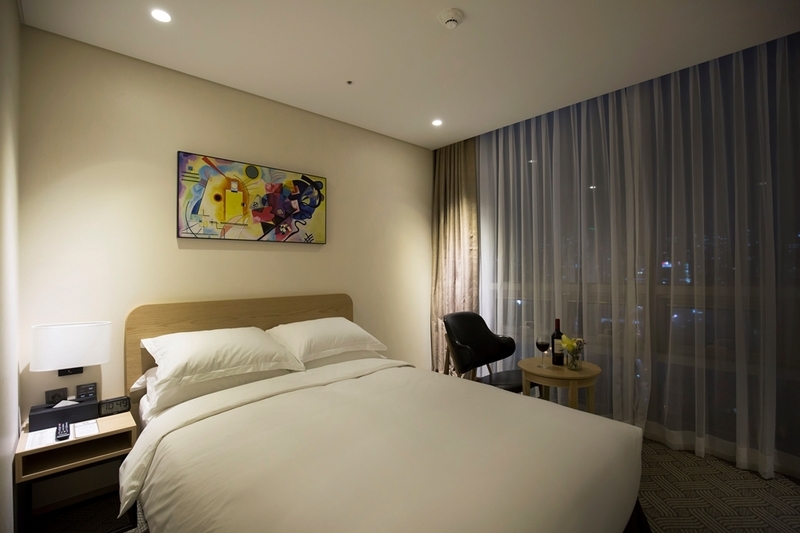 We are really happy that you are satisfied our hotel : ) Best Western Haeundae Hotel is an ideal place for businessm holiday and leisure travelers with our unique room space, beautiful Heaundae Ocean View and City view of Haeundau traditional market. We always do our best to satisfy our customers with heartfelt services. We are looking for seeing you again. Thank you. "The best hotel in Busan"
A hotel right near the beach for $75 a night can't be beat. The room was enormous and felt palatial compared to the smaller guesthouses I had been staying in the shower was accessible and it boasted something that really can't be found in other hotels in Korea - a phone. You could even make international calls from it. There were computers too. I would surely stay here again. great location, 10 mins walk to subway station, 5 minutes walk to beach. located at most happening street in Haeundae. facing directly to the entrance of traditional market. room is cozy, comfortable, new, and clean. size is okay, not big but good enough to accomodate 2 persons. however, the reception can improve better. when we checked in, both rooms couldn't open the door, that means the staff didn't activate the key card. so we had to go down to reception and get the key card activated. staff can speak very very very little english only. we wanted to go to railway station (not metro/subway station), andwe need the staff to write in korean so we can show to taxi driver, but the staff couldn't understand at all. a lot of restaurants nearby, some open 24 hours. it's a good choice to stay while in Haeundae. "Clean hotel with a great location." I booked a room at Best Western Haeundae in January. The hotel is new and is in a great location. I had to book this hotel last minute on the Agoda website. Most taxi's I took had no idea where the hotel was when I gave them the address in Korean that I got from Agoda after booking the hotel. The hotel does not have a big sign that sticks out. The check-in counter is on the 2nd floor. As I stepped into the hotel, I noticed how clean and well lit it was. The staff were kind and checked me in without hassle. My room was on the higher floors and over looked part of the city. The room itself was very clean and organized but not spacious. It reminded me of an Ikea style bedroom. The double bed took up most of the room but still provided enough space to move around freely. 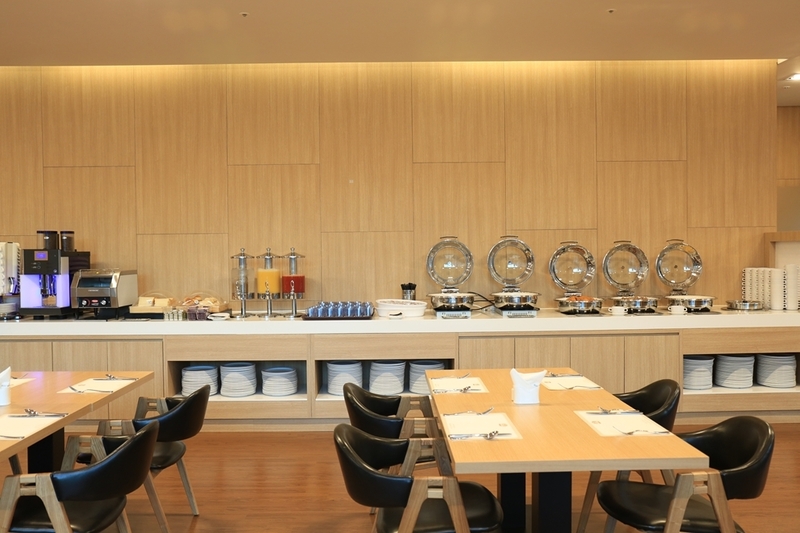 Best Western Haeundae provided all of the basic amenities. There are many restaurants down the street from the hotel. The beach is very close to the hotel, about a 2 minute walk around the corner. If you are trying to find Best Western Haeundae, it is down the street from the Haeundae beach subway station. Also, Best Western Haeundae is near Save Zone. Furthermore, the Check-out time is 11:00, not at 12:00 compared to other hotels. Please read my deepest gratitude for the outstanding service received both prior to and during stay at the Best Werstern Hotel. I truly appreciated all of the time and energy that you and the rest of the housekeeping&front staff put into making me feel welcome and comfortable with the Best Western Hotel. I'm not sure about the grand or timeless characteristics of my personality, but I do know that the other qualities, standards, and expectations that are part of me were completely and exceedingly satisfied with my recent stay in business hotel. It is an exquisite business hotel. Please do not change a thing, especially service and fixture, furniture, equipment… This is new facility,(I heard from your housekeeping staff that this hotel recently remodeled.) When next I return in KOREA BUSAN, I shall definitely call the Best Western Hotel. "New hotel and well located"
I am having a mixed feeling regarding this hotel. What i like: + very well located. Just a couple of meters away from the Haeundae beach (very short walking distace - you can even see the beach from certain room), short walking distance to the Aquarium, and about 5 minutes walk from the Haeundae subway station. + lively environment at night, since this is a touristic place. A lot of eating and drinking place around. + Spacious and minimalist bedroom What i don't like: - Hotel seems new/newly decorated, and you can still smell the paint in the room, which i find it quite unpleasant. - breakfast is very minimal, but luckily a lot of local establishment around the hotel where you can easily catch meals. Stayed in this hotel for 5 nights. Rooms are fairly clean, though I had to ask for it to be cleaned when it wasn't done on one day. Breakfast is boring with the same fare everyday. It's not a bad hotel, but it's just your average 3 star one. The location is very good, it's around 5 min from the Haeundae subway station and 2 min to the beach, lots of good restaurants nearby, the traditional Korean market. 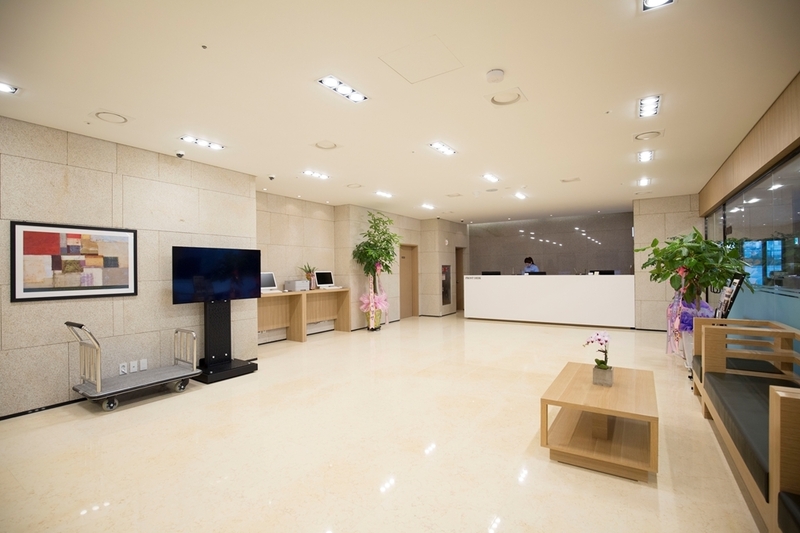 There's another well known Best Western in Busan, so make sure you tell your cab driver that you want the one in Haeundae as this hotel is new. Tip - eat out.